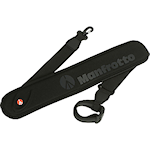 Manfrotto Hang Strap-190X/055X Tripods, 3001/3021Pro, 458B & Mf Trip. 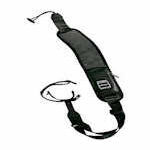 The Bogen Hang Strap -190X/055X Tripods, 3001/3021Pro, 458B, and Manufacturer Tripods has a rubberized hand grip, and is adjustable. 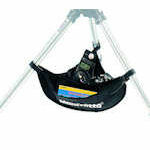 Swarovski Tripod Carry Strap fits all Swarovski tripods. 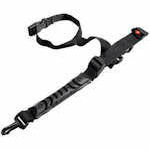 Attach the clip near the hips and wrap the D-ring end around the feet to sling the strap over your shoulder. 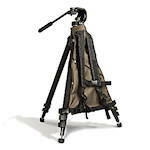 The Wandering Tattler Tri-Pak lets you carry your spotting scope and tripod on your back, allowing you to keep your hands free for other tasks.